The WordPress team worked hard to produce the ultimate in website builders. Their hard work paid off. The ultimate builder, in this case, is a platform featuring an abundance of tools and plugins. They allow website builders to create, tweak, and adjust their products any way they want to. There is a truism that says, “success breeds success”. In this case, new site-building tools, plugins, and services bear that out. 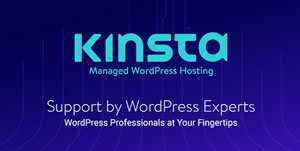 They do so by enabling WordPress platform users to add to the quality of their websites. They enable users to optimize design and development workflow. This is besides making positive contributions to a business’s online financial dealings. Any one of the following products and services will do the same for you. Elementor has gained a well-earned reputation as the #1 WordPress page builder. This open source page-building plugin is super-fast, it’s free, and most important of all, it lets you build whatever you want without restrictions – a feature no other builder can match. 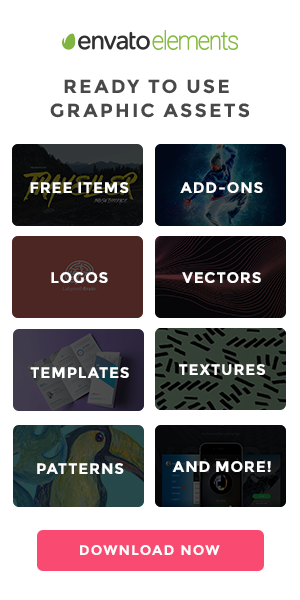 You can choose from the selection of over 130 designer-made templates, or you can import your own templates to work with. You’re not limited to a selection of different header or footer styles to work with either. Headers and footers can be designed down to the tiniest of details without ever having to write a line of code. Elementor’s user base has grown from its first user who signed up a little less than 2 years ago to more than 1 million loyal users today; further justification for its top rating. The Elementor team recently added a set of powerful new features: Role manager, Custom fonts, Header & Footer builder, Dynamic content and Copy/Paste style capabilities. Give the free version a try and check out the Pro version. Visual site building is by far the easiest and most mistake-free approach. Brizy lets you take full advantage of everything a visual approach offers. It’s a cinch to work with since it does not require designer, developer, or any other technical skills to use, and you can download Brizy for FREE. A favorite Brizy feature is its clutter-free interface. Even though Brizy provides a wealth of site-building tools and options, you won’t have to deal with distractions when working with the interface; there are none. You’ll quickly come to appreciate one of this theme’s major assets; the super-friendly UX it offers. Give Brizy a test run on the company’s website. It will cost you nothing and you even get to save the HTML you create and use it anywhere you like. Brizy comes with 150 pre-made design blocks, 4,000+ icons, and requires zero coding. Posts Table Pro is a plugin you’ll probably wish you had a long time ago, once you discover what it can do for you and your online business. This dynamic table plugin enables you to instantly create tabular listings from your WordPress database content, including listings of posts, pages, or other content types. Since data entry is thereby avoided once you decide to create a listing, creating document libraries, member directories, and even mixed-media listings such as audio libraries is a simple and straightforward process. Because Posts Table Pro offers such a wide range of options, the flexibility it provides allows you to not only select which posts are to appear in a table, but how they will be ordered or sorted as well. Other options include load time (lazy or cache load), mobile visibility and responsive, and a useful selection of shortcode-enabled options. Logic Hop provides a personalized marketing solution for WordPress users. Your sales are bound to increase, often dramatically when you’re basing your marketing approach on the actions visitors are taking on your website, what their primary interests are, and where they come from. Logic Hop gathers this information for you and enables you to adjust your marketing approach accordingly. Whether you have a set of design files ready to submit or a design idea that’s fresh off the drawing board, Goodie will work with you to convert your design in to clean, high-quality, easily maintainable code. This agency hires only highly competent web developers who will turn your design into code for a $999 special price. The idea that once your website is up and running you can switch it on autopilot is largely a myth. These days, websites require maintenance such as keeping WordPress and its themes and plugins updated and database optimization. Failing to do these things can lead to getting hacked or to a broken website. WordXpress has been managing websites for its members for 10 years. They perform updates and provide cloud backups and security. It’s always a good feeling to get a great review for a product you sell or a service you provide. It’s a better feeling when you get many more reviews and they pop up on multiple platforms, e.g., Facebook, Google, Amazon and so on. That’s what the Starfish Reviews WordPress plugin can do for you. Starfish Reviews prompts customers to submit reviews, it disseminates positive reviews, and it routes any negative review to you and to you only, depending on your settings. You may be able to build a website without needing any special technical skills, but fixing problems, making small changes, or attempting to optimize performance can be a different breed of cat. Like it is with automobiles, fixing what isn’t working right generally requires the services of a professional mechanic. Fixmysite.com is like a neighborhood garage, only this garage is staffed with professional website mechanics. They offer on-demand service and will fix your website to your satisfaction or you’ll get your money back. By using the WordLift plugin, you can put artificial intelligence to work for you to find better ways to grow traffic to your website. This open source semantic platform does so by translating your content into the type of machine-friendly content used by search crawlers and personal digital assistants use to guide users to take actions. WordLift also assists you by making your site’s UX friendlier and more engaging; which translates into more pages visited for longer periods of time leading to more satisfied users and to a positive signal for Google and the other search engines. This plugin provides just the right solution if your website or any section in it is devoted to rating and reviewing products, whether they’re books, movies, vacuum cleaners, or anything else. Different product types are often best served by specific types of reviews such as star ratings, percentages, graphs, or thumbs up or down. WP Review Pro is the best review plugin that helps you produce tables comparing different features of multiple products. The tools and services listed here are well worth considering. If your intention is to design and build your own website or one for a client, you are in the right place. Same goes for those looking to submit a design and let a developer do the rest. There’s a tool dedicated to helping you improve your marketing approach. There is also one that assists in managing reviews. You will find a service that fixes website issues and one that maintains websites. This is an excellent investment for keeping eCommerce oriented sites in tune.